QVC compensated me to write this post. As is my standard policy, I only accept sponsored post opportunities from multi-brand retailers that allow me to select the products I feature and the subject matter of my blog post. Hope everyone is cool with that! This is the old packaging, but the masks included are the same. People ask me all the time: “What is your favorite mask?” This is akin to asking me which child is my favorite. The truth is, just like my children, it depends on the day. 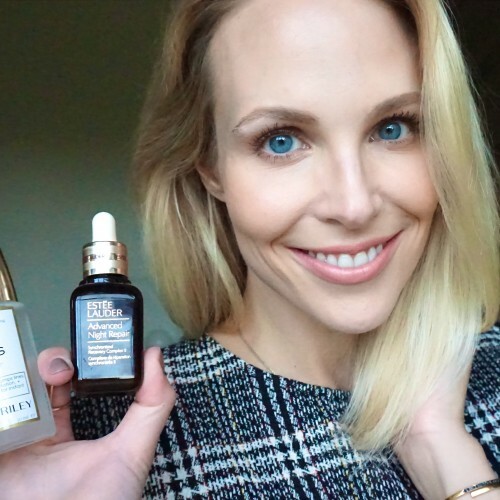 When I first started getting really into skincare and curating a “mask wardrobe,” I bought the Peter Thomas Roth 5-Piece Mask Luxury Kit. The fun of the sampler set is that you can assess your skin every morning and pick whichever mask addresses that particular concern. Are you broken out? Black mud mask. Feeling puffy from last night? Cucumber mask. Need a little extra glow? Rose Stem Cell mask. 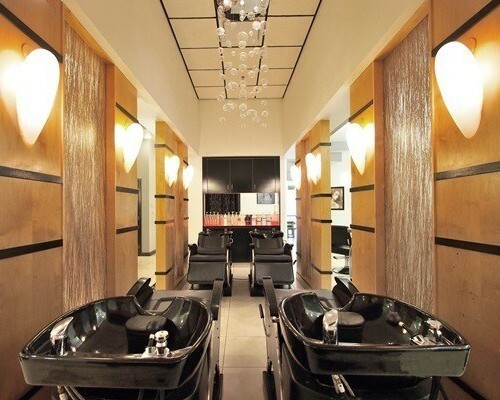 The PTR mask set provides endless pampering and entertainment. Trust me, you deserve this mask set in your life! I’m convinced this Peter Thomas Roth mask kit is one of the best deals in skincare to date. If you were to buy each generously-sized jar separately, it would cost $212. But this kit is only $59! 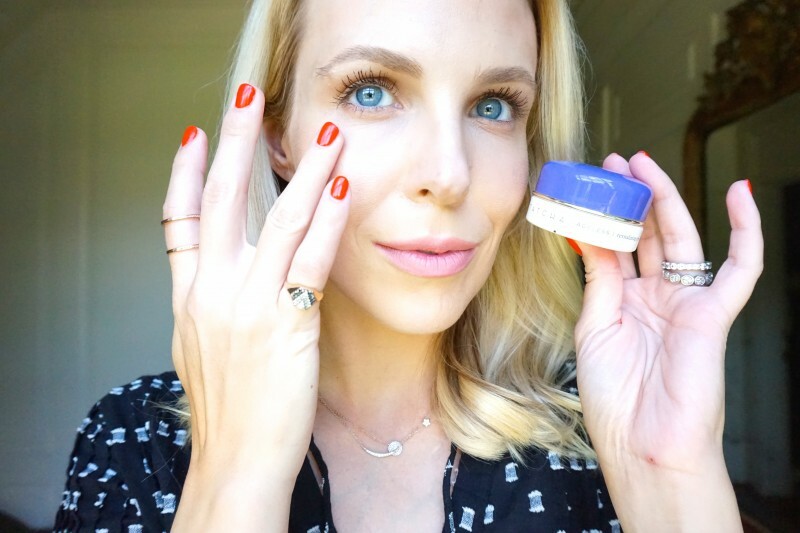 If you would rather dip a toe into #carpoolmasking, I encourage you to try the $20 Peter Thomas Roth Meet Your Mask Kit that has six smaller tubes of all my favorite masks. At $20 this would make a great gift, and in fact it made my 2017 gift guide. QVC even throws in a handy mask applicator! Ok, if you put a gun to my head and said, you may only own one Peter Thomas Roth mask for the rest of your life, then I would probably pick the Rose Stem Cell Bio-Repair Mask. It smells and feels glorious, and provides lightweight hydration to revive tired skin and add a little glow. I also love to use my Rose Stem Cell Mask the morning after doing my GloPro microneedling device (more on that later, QVC has a great deal on that too!) After microneedling I feel like my skin is still able to better absorb products and I want the Rose Stem Cell Mask to penetrate as much as possible! Sometimes I tap a little Cucumber mask on my eyelids in the morning. 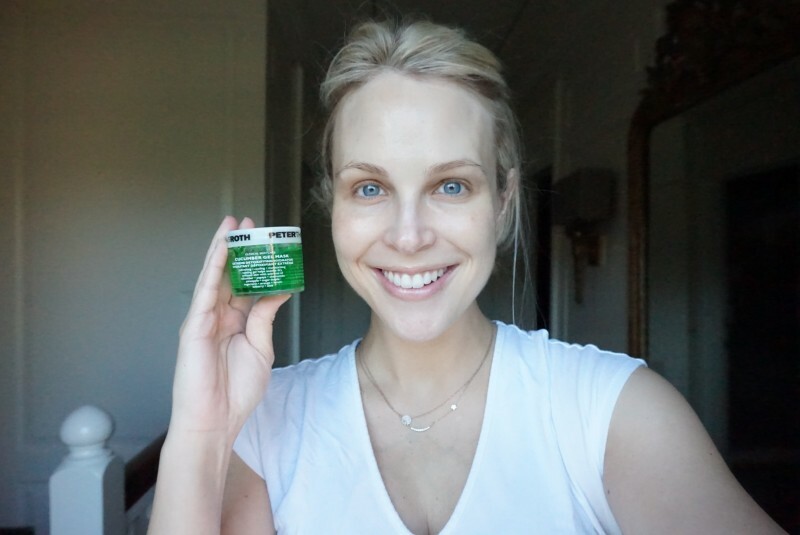 This quick hack is very effective on days you don’t want to waste a whole Skyn Iceland Hydro Cool Firming Eye Gel patch. 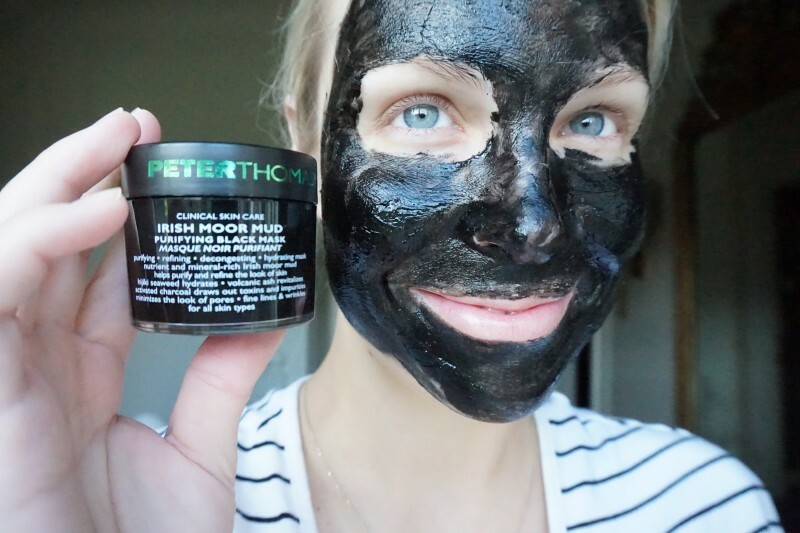 After I rinsed off the Irish Moor Mud mask for the first time, I said to myself, I’ll be darned if each Peter Thomas Roth mask isn’t better than the last! This is a refreshing clay mask that draws out dirt & oil without the dry and tight feeling that other clay masks leave. Oftentimes when I have clogged pores (usually on my nose and chin), I sacrifice hydration and put on a clay mask to draw the gunk out of my pores, even though I know my skin will feel yucky and tight afterward. But you don’t have to sacrifice hydration in favor of deep cleaning with this mask! The only downside is it is messy to wash off in your sink. But the improved look of pores, fine lines and wrinkles you get makes it well worth the black mess. The 24K Gold Luxury Lifting Mask is moisturizing, but is a little sticky and tends to get glitter all over my clothes and the baby I am holding. 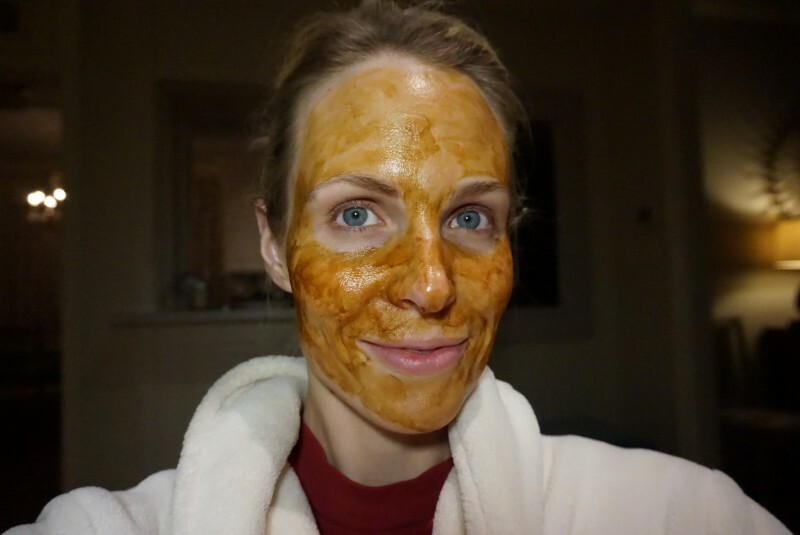 The Pumpkin Enzyme Mask is supposed to polish and exfoliate, but it was a little irritating. But I don’t hate either one of them, and still use both periodically. QVC is one of the only retailers that carries the fabulous Tatcha Ageless Eye Cream (It is in a two-piece set with a travel Renewal Cream). I know it is pricey, but the Tatcha is my favorite eye cream to date. No cream has made a difference for me in terms of under eye circles, but this cream does definitely help diminish fine lines and improve the texture under eyes (at least for me). It is the only eye cream that I can apply at night and it is still moist to the touch around my eyes the next morning! Texture-wise this eye cream is on the thicker side, so some friends have told me they don’t think it works well under makeup and is better for night. But I love it at all times of day! To get your hands on this fabulous eye cream you have to buy it in a set with a small jar of the Tatcha Renewal Cream (which I have not personally tried yet). If you have been following me for awhile then you know I am a huge fan of the gloPRO micro needling tool. QVC has a fantastic gloPRO set that also includes the attachment for the body, which is an awesome value. 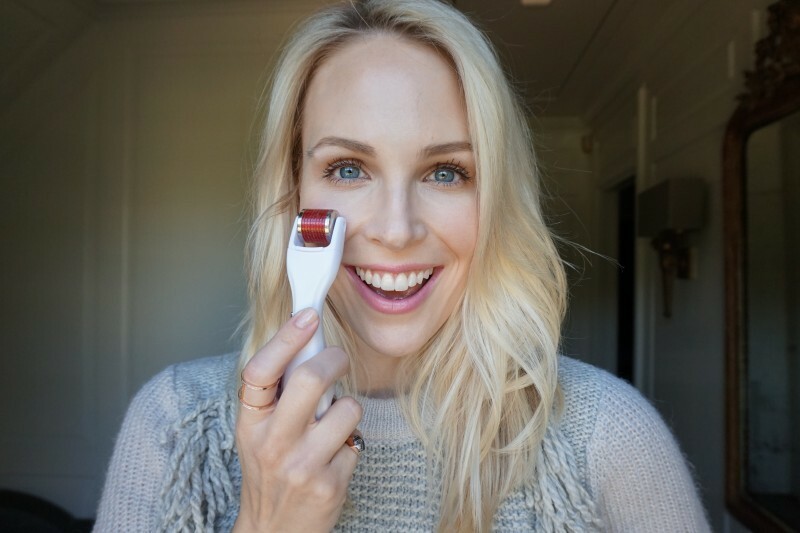 The gloPRO uses micro-needling technology to help improve skin tone and fine lines. I have a whole blog post about my experience using the gloPRO here. I try to use it once a week, but my mom uses it three times per week and swears by it! QVC sent me the It Cosmetics “New Year, Your Most Beautiful Skin!” Collection for free to try as part of this collaboration. It includes full sizes of their new Bye Bye Lines foundation, Confidence in a Gel Cream, Confidence in a Neck Cream, and one of their fluffy foundation brushes. 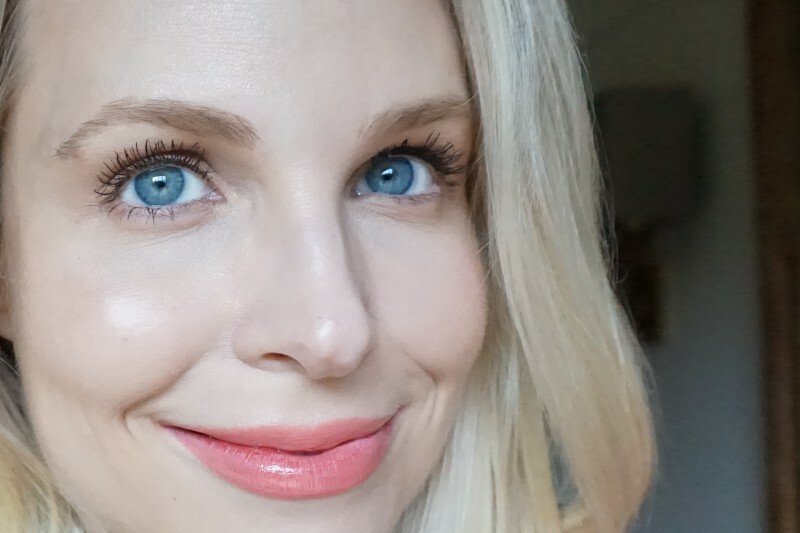 Longtime readers know I am a HUGE fan of It Cosmetics, and several of their products are Holy Grail products for me (namely the Bye Bye Foundation, CC Cream, Bye Bye Breakout, and Brow Power Universal Brow Pencil). In fact I have more product faves from It Cosmetics than any other one cosmetics line. I love the It Cosmetics makeup brushes as well, very high quality. That said, the Bye Bye Lines foundation was a miss for me. I will continue testing it, but first impressions were that it did not have as much coverage as the CC Cream and wore off and oxidized after a few hours. 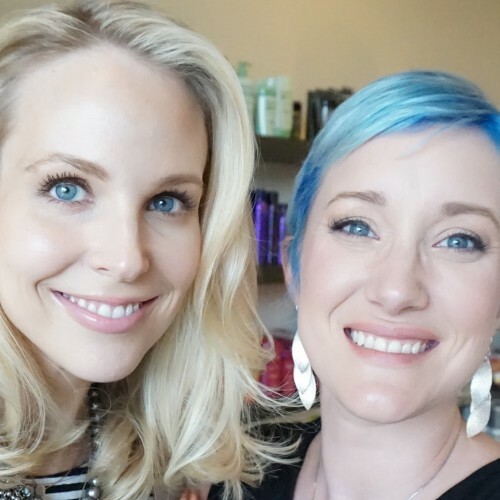 The Gel Cream had an interesting texture, but it was not enough moisture for me. It might be good in the morning under SPF and makeup though. But there was one exceptional product in the set- the Confidence in a Neck Cream (which appears to be unavailable to buy individually at this time). 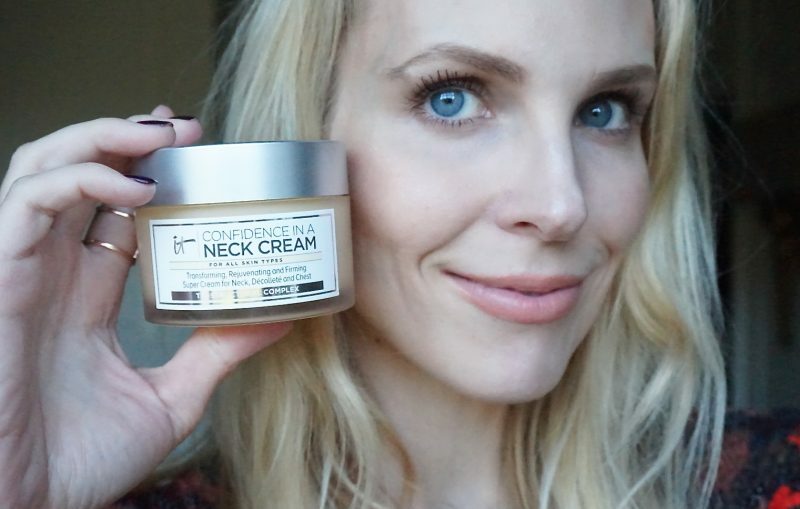 The Neck Cream has a thick texture, and is orange in the jar and smells vaguely citrus-y. The second I smoothed it on the back of my hands I knew it was special. It is supremely moisturizing, and when I applied it in upwards motions to my neck, it felt strangely energizing. So of course my first question is, um, can we use this magical cream on our faces? Why do our necks get all the love? I have reached out to It Cosmetics to see if it is suitable for our faces and will circle back. 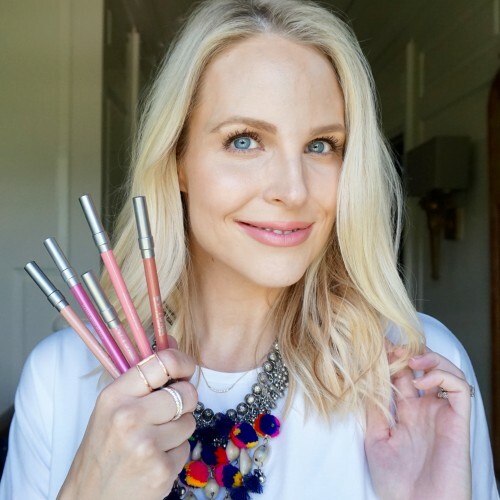 Another great It Cosmetics set I noticed on QVC.com is the Bye Bye Redness that comes with the double-ended brush that might be my most essential makeup brush that I own. The small concealer side of the brush is great for blending small areas around your nose and also for getting rid of the excess concealer that creases up under your eyes. 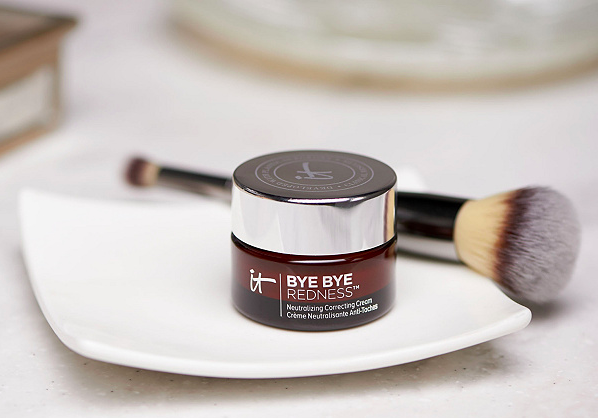 I have several friends with rosacea who swear by the Bye Bye Redness, so if redness is something you struggle with you should check this out!